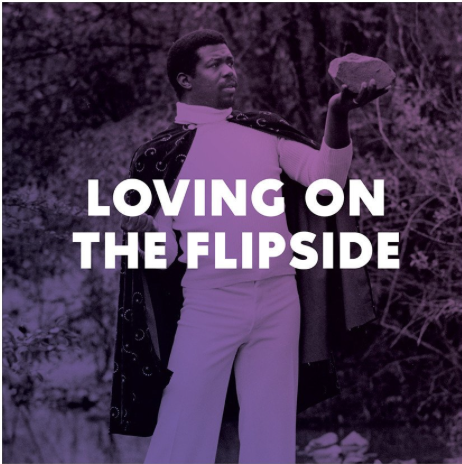 This compilation was released by Now Again Records, a label that you can count on for very specific and fascinating releases such as a South Pacific psychedelic rock compilation or a San Francisco soul collection. However, this album stands tall as my favorite from the label. What is so incredible is that though this collection of singles from various cities and years, one story is told clearly and with total conviction. Many of these singles lived in relative obscurity when they came out, though a few like “At the Hotel” and “Merry Go Round” were certainly heard. Commanding bass lines, sweet soul singers, and low down guitar lines make this 2012 compilation a must-listen. Mr. Bongo is an awesome platform that delivers anything from classic films to obscure vinyl records, and they are well organized by region, era, and style. Even if you do not collect records, this site is an excellent place to discover all kinds of new, obscure albums from around the world. It was very formative in expanding my own taste. In addition, Mr. Bongo features mixes from various collectors and DJ’s, and these are posted on the site. Two Mr. Bongo ‘Record Club’ records exist, and volume two is by far my favorite. It is highly eclectic, and sometimes the transitions between songs are painful or just outright wrong, but the record is a fantastic place to find interesting and obscure singles from around the world. Like the rest of Mr. Bongo’s collection, this record is a great starting point for all kinds of awesome discoveries. Ironically, this compilation also has the Delfonics single “Merry Go Round”. Do not let this sway you. Most of the tracks are funky and fun-filled. This totally stoned-out compilation is something that just about anyone can enjoy. It features some notable names like Captain Beefheart, the Seeds, and Noel Redding, but most of the artists are quite obscure, and the easygoing sound of these singles is one of a kind. This compilation skillfully welds many different songs together to create a very unified sound. Organs, harmonies, piercing guitar riffs, the whole nine yards can be found here. Let this nostalgic sound take you back to a time that you did not live through and have no memory of. This is perhaps my favorite compilation that I have picked up in a long time. It is over the top funky, and lets you get as close to the magic of the James Brown band as you possibly could these days. It is complete with JB screaming in the background throughout the album, and other musicians literally talking to one another and shouting words of encouragement. Many of the singers are well known, and some are not. They all are complemented by Fred Wesley’s epic sound, and some even feature synth arrangements that sound very little like James Brown at all. Rest assured, this album is funky, perhaps more so than any other that I have listened to in a long time. It is hard to stay seated while you are tuned in. Blast from the Past: Joao Donato "Quem e Quem 1973"